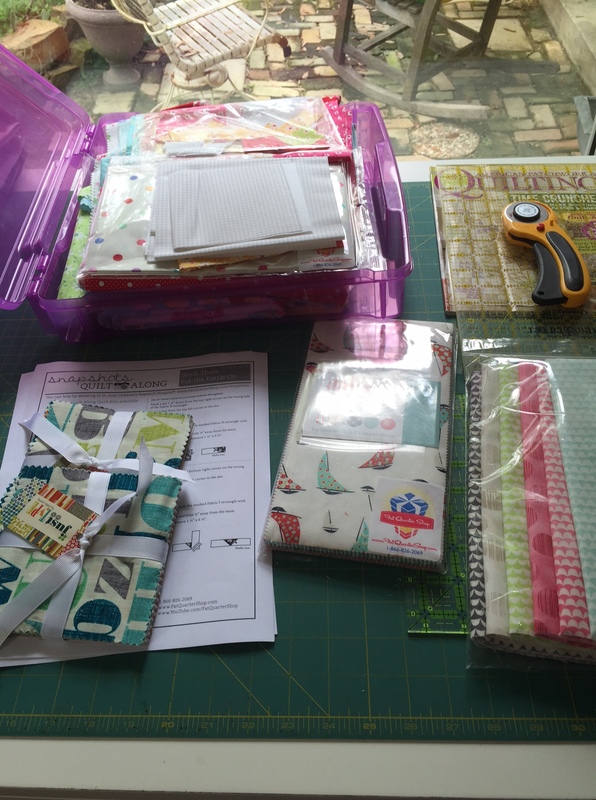 Vacation – Day 1 Progress – Put the Kettle On! I am on a short vacation from work to close out Spring break with the kids. They have been enjoying the grandparents thoroughly (I know my Mom is not having any problems with her insomnia tonight). We spent half the day cleaning up my parents house before we could head back home. Once we got here, they were happily into their electronics that were left behind to ensure quality time while visiting. That left me to decide on which project to do…. 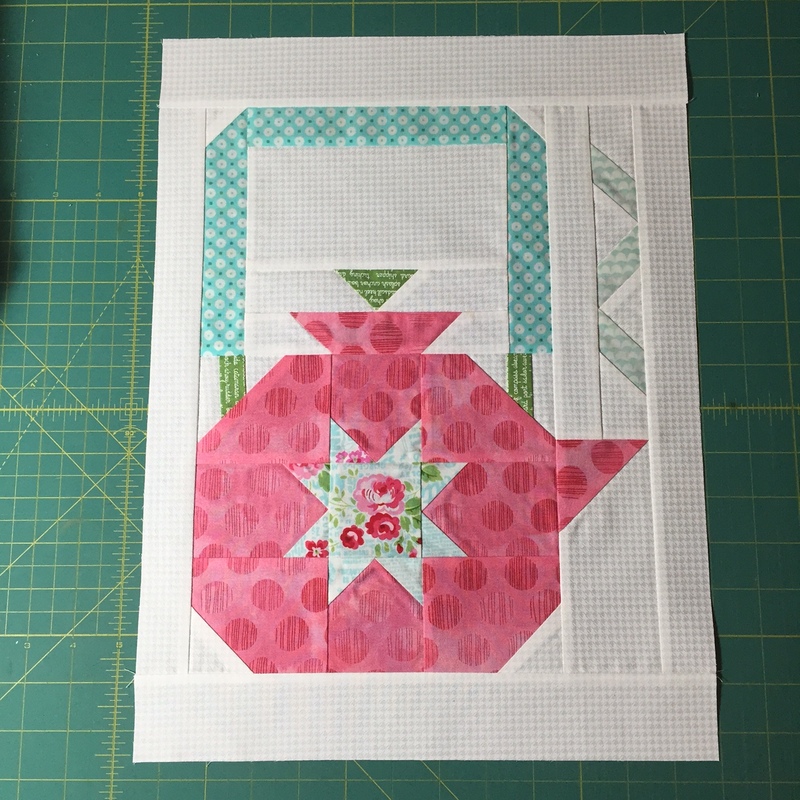 Many choices for sure, and although I have plenty that I should probably tackle first – I decided to knock out Block 3 from the Snapshots Quilt Along, called “Put the Kettle On“. It was released last weekend and I was trying to tell myself that I don’t have to do all of them … but that just made my OCD kick in a little harder. 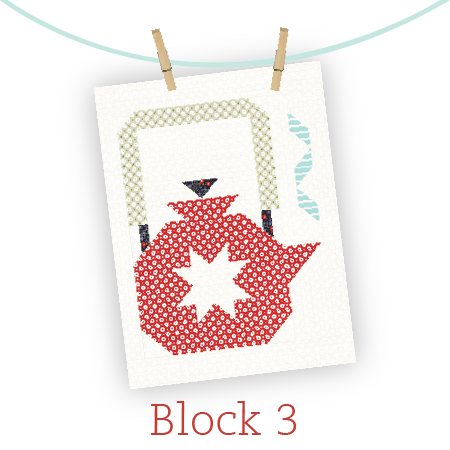 It certainly isn’t too late to join in and sew along – even if you just pick and choose the blocks you love. 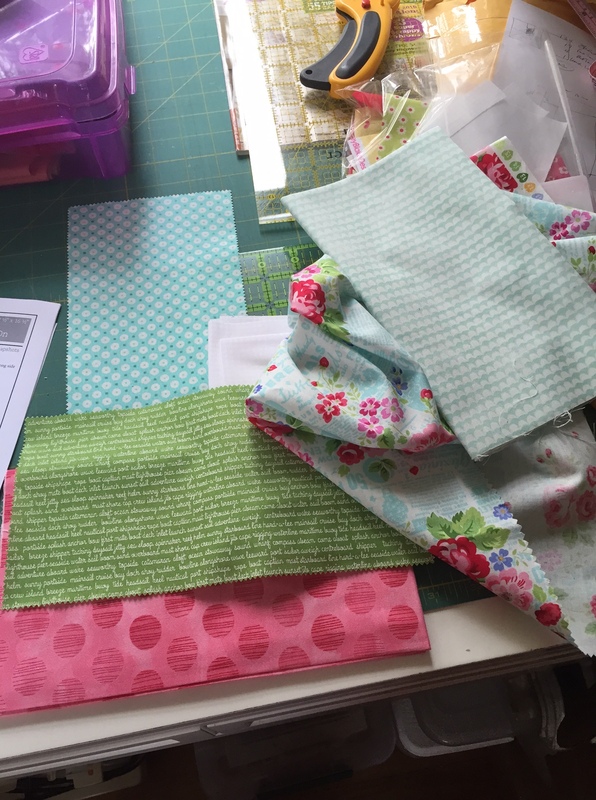 Click here for a link to the Fat Quarter Shop’s blog for this block and you can get all the information about this project to benefit St Jude’s Children’s Hospital. I’m lovin’ it. I can’t wait to stage a picture of all three blocks together tomorrow when the sun is shining. 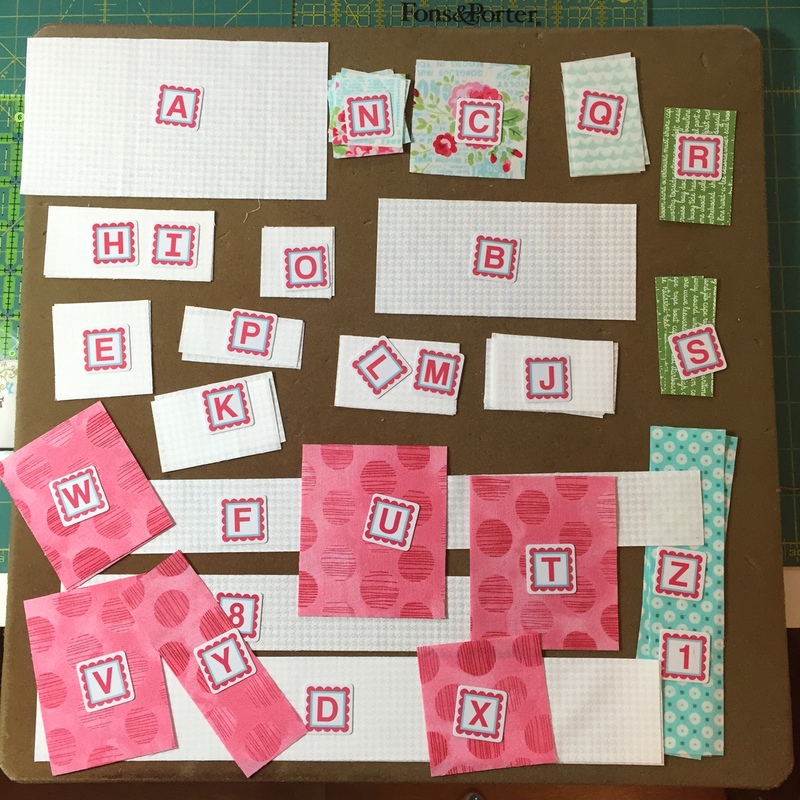 My project tomorrow will be to construct a school house block for the center of my gift quilt. I don’t have an actual pattern, but it should be easy enough to figure it out with the pictures from Pinterest and some graph paper (I need a particular finished size). Hope you are looking forward to a spectacular first weekend of Spring coming around the corner. Have a great Friday!! 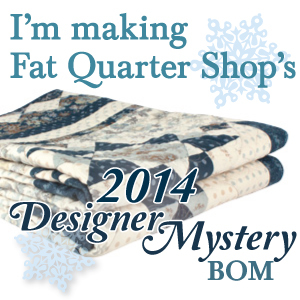 Wow Jennifer, I have been eyeing this quilt for a long time, and your block makes it even more tempting. 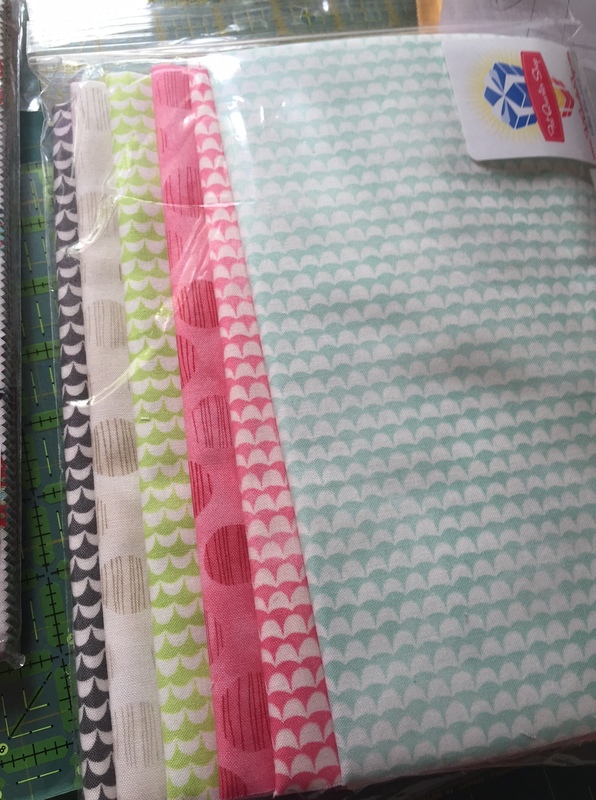 I absolutely adore the fabrics you chose for the tea pot. The star is so adorable. Turquoise and pink always look so stunning together. Enjoy your little mini vacation!